Banquet Cinema Pub offers first-run movies and a large pub experience. 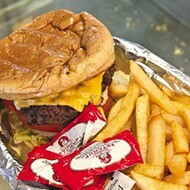 Banquet Cinema Pub shows a mixture of first-run, recent releases and classic movies. Oklahoma City’s newest movie theater is also its trendiest full-service bar complete with shuffleboards, a pool table and a projection screen showing sporting events. 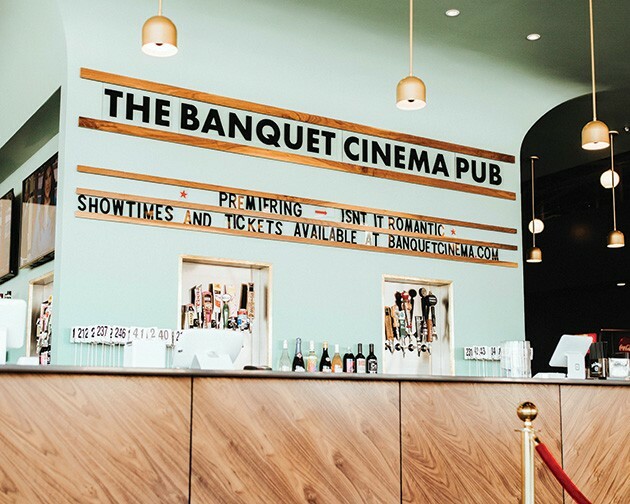 Banquet Cinema Pub, 800 NW Fourth St., is the brainchild of The Bleu Garten founders Hunter Wheat and Lacey Pritchard, who turned a 12,750 square-foot retro 1930s building that featured a showroom for Chryslers into a large, full-service pub and kitchen with two 75-person capacity theaters. “We want it to be like you go to a pub and a cinema broke out,” Wheat said, noting that the biggest confusion since the pub opened in mid February is that customers need a movie ticket to eat and drink in the large pub space. Wheat admitted that the concept of a cinema pub has been on his mind since before he opened The Blue Garten in Midtown in 2014, but they could never find the right location to fit everything they wanted in the space. After opening Anatomy Wine Club in the Plaza District two years ago, he was traveling south and noticed the current space, which had recently gotten its large exterior windows redone. The wall behind what is now the kitchen was already semi-soundproof because it housed a mechanic shop for the automobile showroom, which made it a perfect place to install a pair of theater screens. 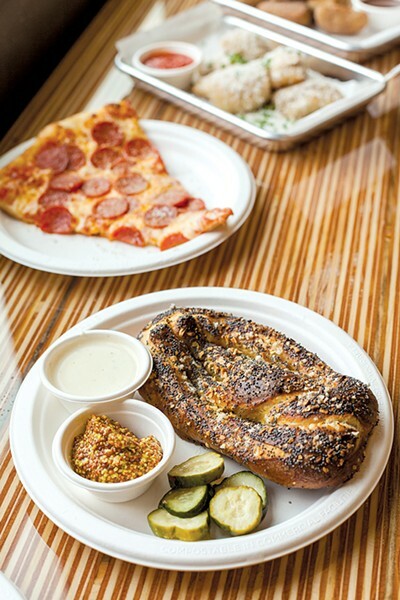 The kitchen and its menu devised by Jeff Patton — formerly of Mary Eddy’s Kitchen x Lounge — is built around a large deck oven that features pizza with sauces drizzled on top, nachos, a pretzel with onions and poppy seeds, chicken wings and salads. 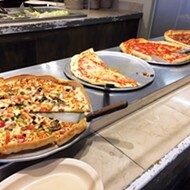 “I wanted to do pizza because we wanted to keep it to food that you can eat with your hands so that we’re not having to bring silverware back into and out of the cinemas,” Wheat said. There are the requisite cheese, pepperoni and sausage pizzas in addition to more adventurous pies like Pineapple Express with barbecue sauce, pineapple, jalapeños and bacon and the Chick N Chong with chicken, bacon, ranch, caramelized onion and Buffalo sauce. There are a pair of white pizzas: Field of Dreams with Yukon potatoes, roasted mushrooms, pickled beets and a kale-pistachio pesto and True Grit with Taleggio cheese, speck ham and Neon Sunshine beer jelly. All are sold by the slice ($3-$5) or as huge, 20-inch pies ($24-$40). Since opening, it has added a vegan pizza with cremini mushrooms and garlic chives. A weekend brunch menu is bolstered by breakfast sandwiches, vegetarian eggs, sweet and savory toasts and its best-seller, Motor City Breakfast ($9.50), a Detroit-style personal pan pizza with bacon, sausage, egg and maple syrup. 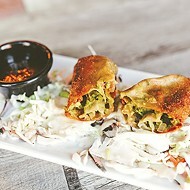 Wheat said the menu will continue to evolve, and they hope to open for lunch during the week. He envisions taking advantage of the deck oven with sandwiches like a Cuban sandwich cooked under a brick like the Jon Favreau movie Chef. The bar features six signature cocktails ($6-$9) and 11 beers on tap, including local breweries Stonecloud Brewing, Lively Beerworks, Angry Scotsman Brewing and Elk Valley Brewing Company. It also serves wine by the bottle or glass. Drinks and food can be brought to the customer’s seat in the movie theater, and guests can order from a separate bar once the movie starts. Comfortable chairs imported from an old movie theater in Arkansas are seated in front of a counter for food and drink. 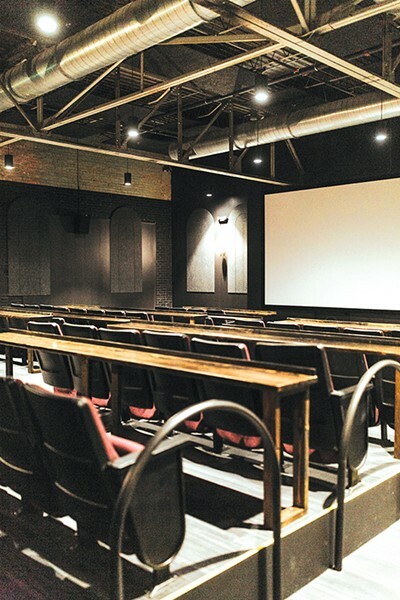 There are two 75-person screening rooms. 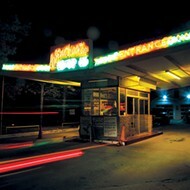 Banquet Cinema Pub shows a mixture of first-run, recent and classic films. Its opening was built around the major studio release Isn’t It Romantic starring Rebel Wilson and Liam Hemsworth. The studio required a dedicated theater to show the film at release, and it is indicative of the complicated process to secure first-run releases. Wheat said Banquet will show director Jordan Peele’s Us for its premiere March 22 in addition to his first film, Get Out, during March. Banquet built its first few weeks around romantic movies like When Harry Met Sally, Moonstruck and Annie Hall in honor of Valentine’s Day. Wheat said March features Irish movies for St. Patrick’s Day. Movie tickets are $10 regularly and $6 for 5 p.m. screenings. Wheat wants to host more events like a successful Oscars watch party for which guests showed up in tuxedos and gowns. He wants to do watch parties for big Thunder games and host politicians like councilman-elect James Cooper, who will host a Q&A in conjunction with the biopic Milk about Harvey Milk, the openly gay member of the San Francisco board of supervisors. “That’s the perfect film for [Cooper] because he’s a film buff and he’s breaking the glass ceiling [as the city council’s first openly gay member],” Wheat said. Wheat said that when talking to film buyers, it can be difficult to get independent films at movie chains to Oklahoma because they typically don’t sell well.